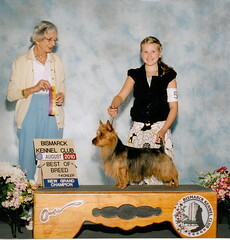 Grand Champion Benayr Just for Kicks "Beckham"
We welcomed our male Aussie into our family late July 2009. He is a delightful little guy that fit in so well with our family. 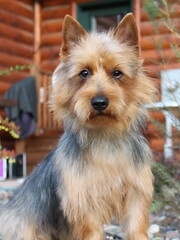 He is also quite handsome! 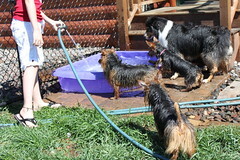 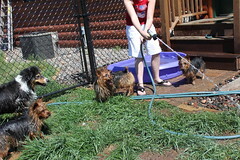 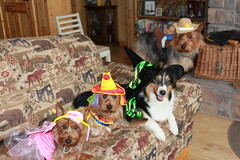 Beckham has sired four beautiful and healthy litters. 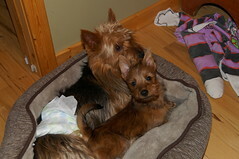 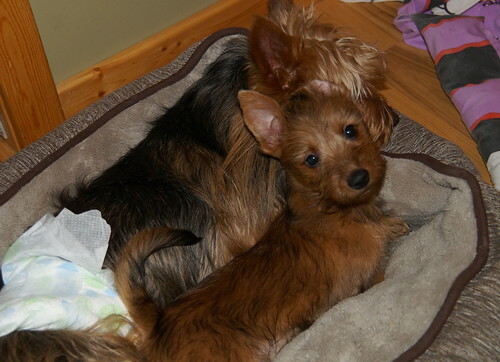 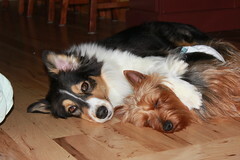 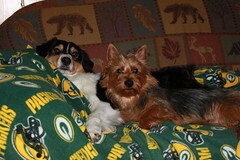 Beckham is now neutered and enjoying being a loving companion to my daughter Lydia. 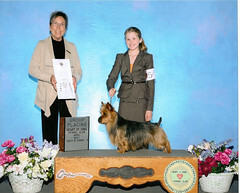 Beckham is co-owned by Pamela Levy. 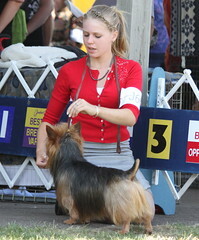 Pictured (right), Beckham Best of Opposite on one day of the 2010 Aussie National Specialty weekend show, over 70 Aussies represented. 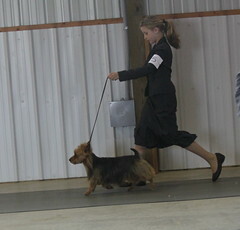 Shown by Ellie, Judged by Jon Cole. 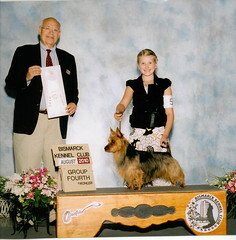 Beckham earned his Grand Championship on August 6, 2010. 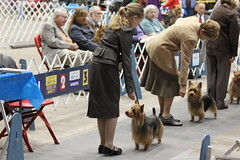 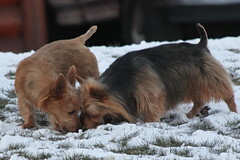 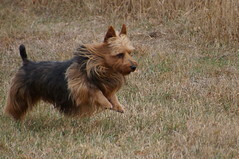 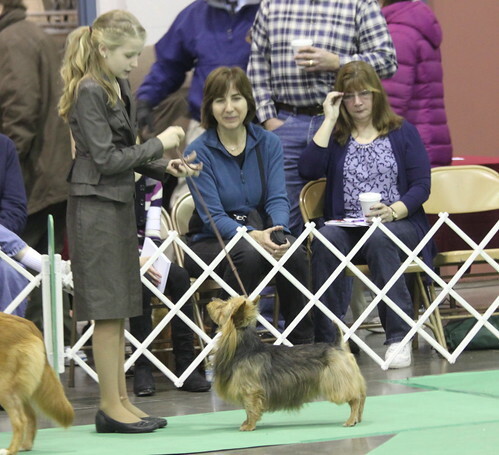 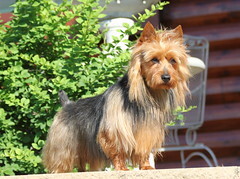 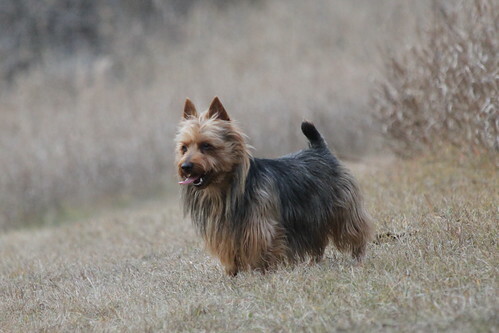 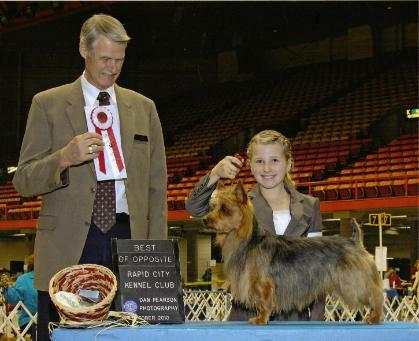 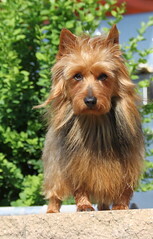 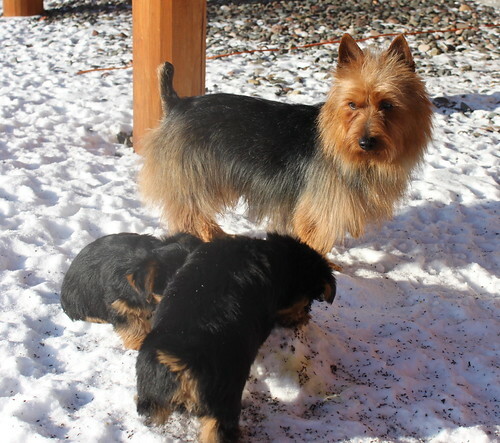 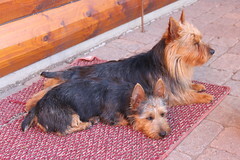 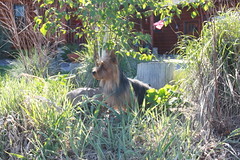 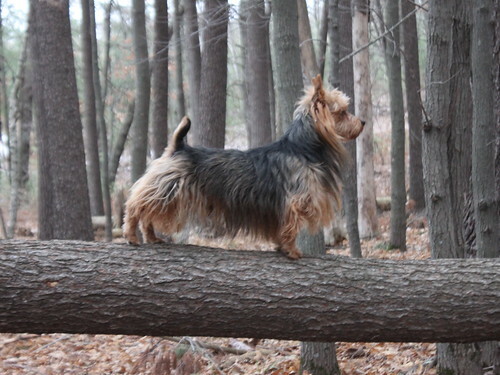 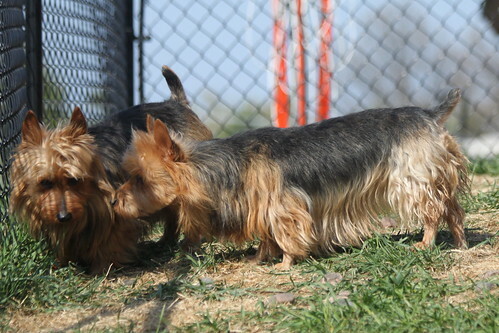 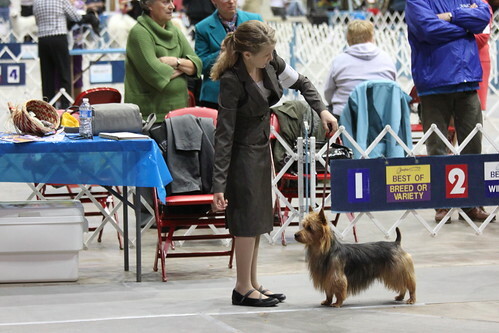 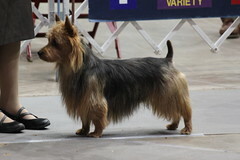 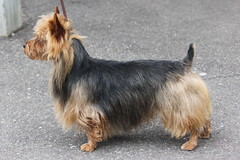 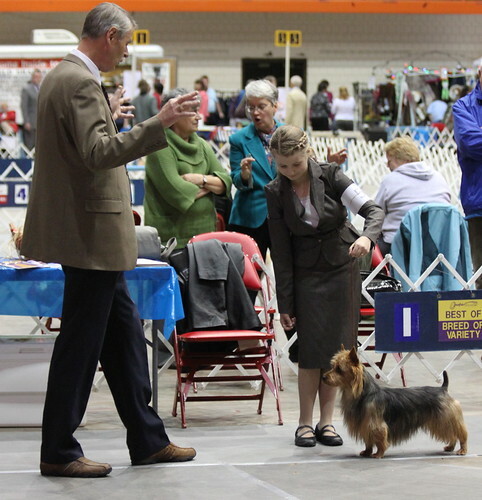 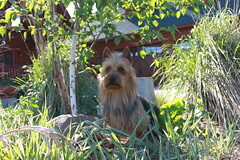 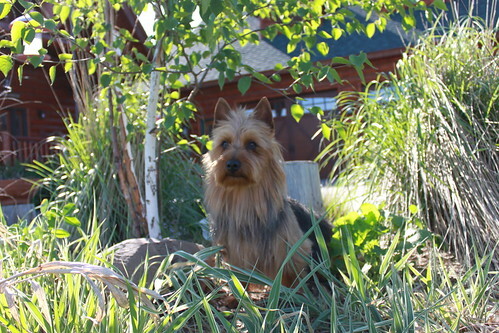 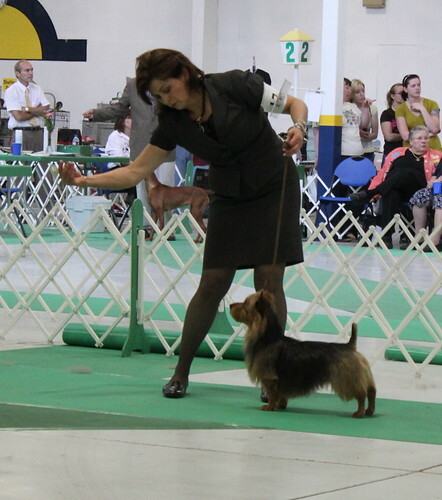 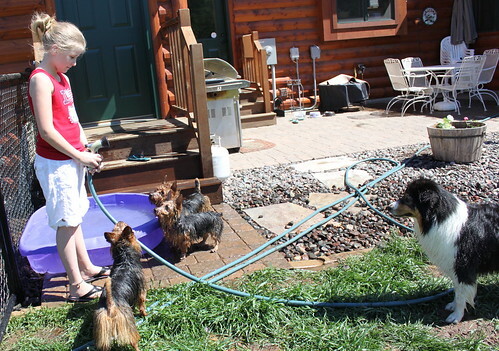 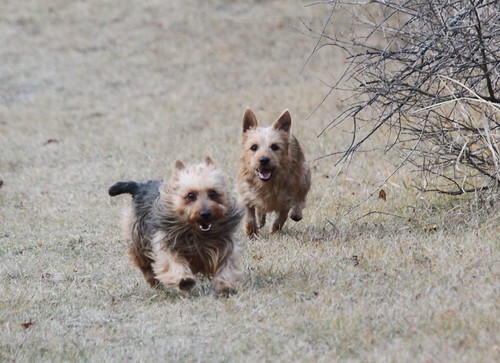 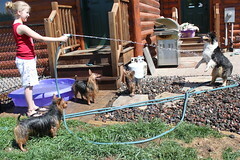 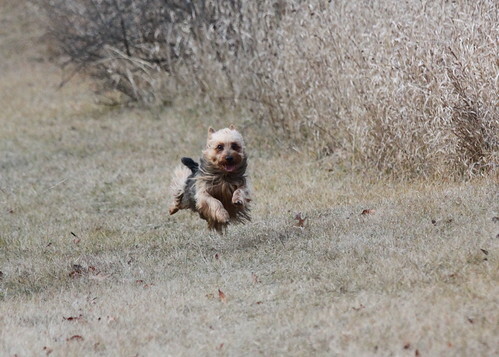 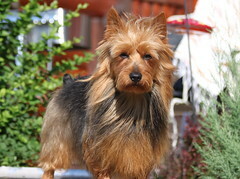 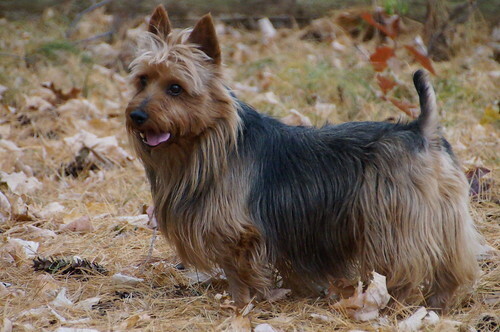 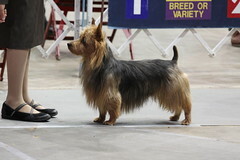 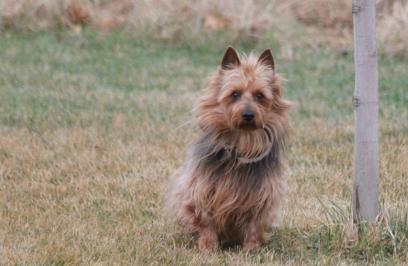 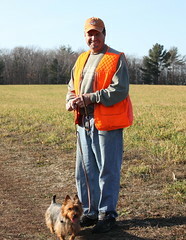 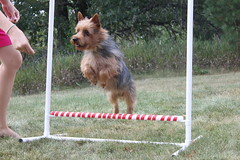 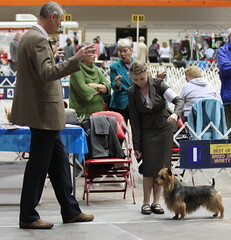 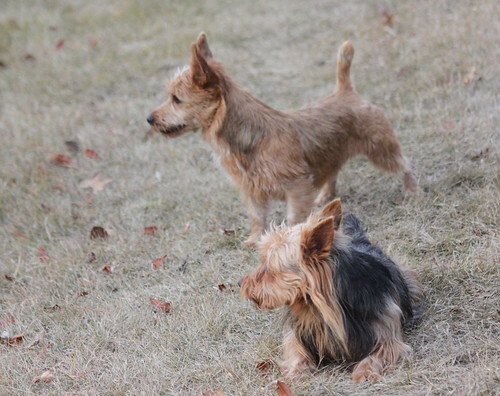 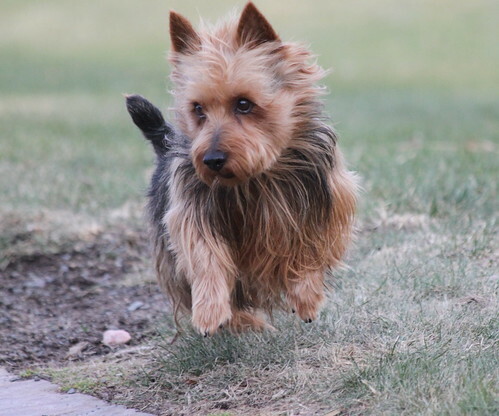 He is the 4th Australian Terrier in the USA to accomplish this title. He has been shown by Ellie (11 years old) his owner/handler who completed his Grand Championship Title and has been invited to participate in this years Eukanuba competition televised in December. 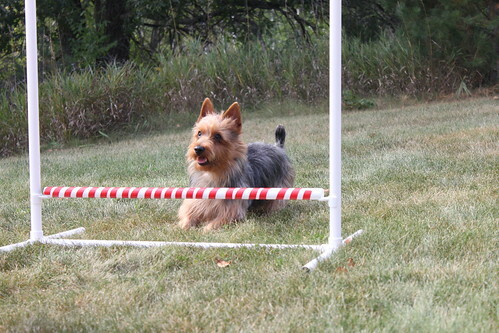 We're so excited for Beckham and our daughter Ellie! 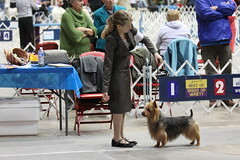 Ellie and Beckham at the invitational only AKC Eukanuba, LA, Cal.